I'm not really a hair person. I don't know how to style hair or do hair or fix hair & make hair cute. I wish I did. I wish my girls didn't have to walk around town every day looking like they just rolled out of bed. 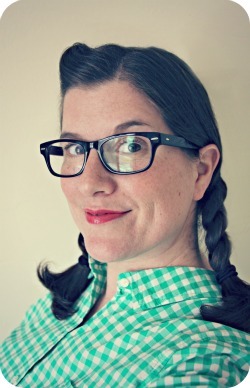 That's probably why I wear pigtails or braids almost every day. Because I have no clue what to do with this stuff on top of my head. But every once in a while I try. Like today. Pazely was my guinea pig. 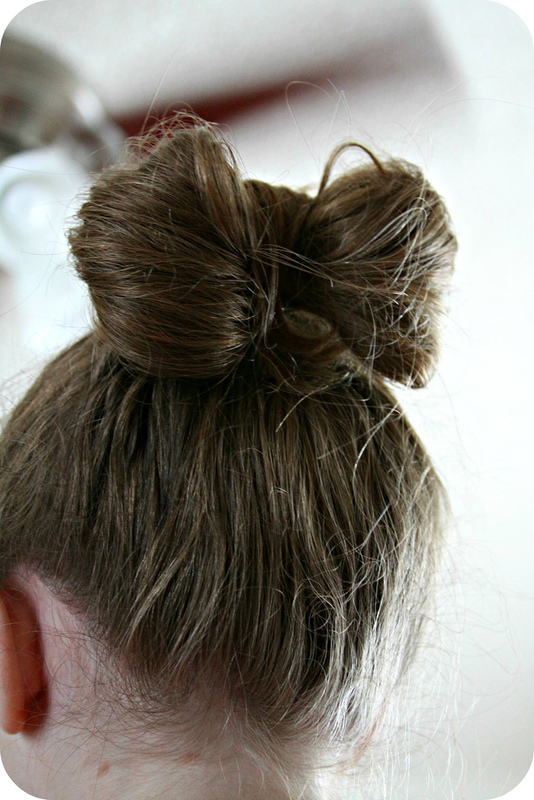 I keep seeing fun things to do with hair on Pinterest & I thought I'd try this bow bun on Pazely. (I call it a "hairy bow".) It's slightly messy, but for a first-try I think I did pretty good! Click HERE to learn how to create it.